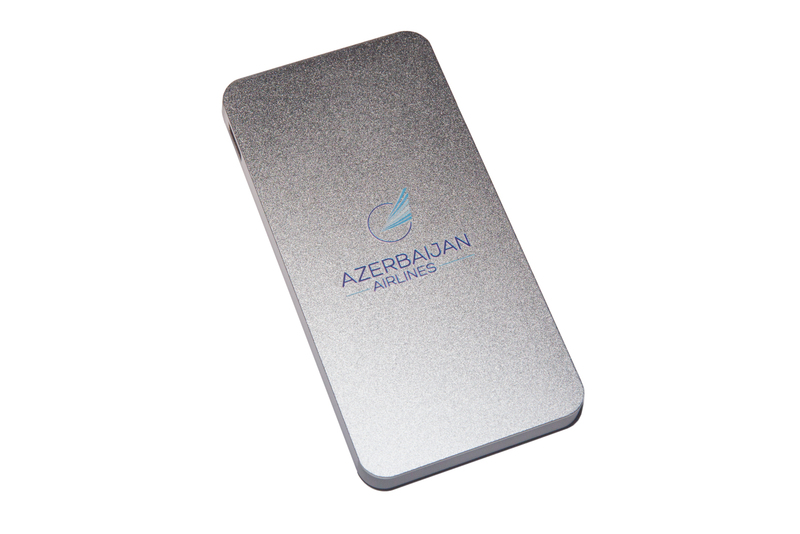 A portable charger (power bank) with the logo of Azerbaijan Airlines on it. 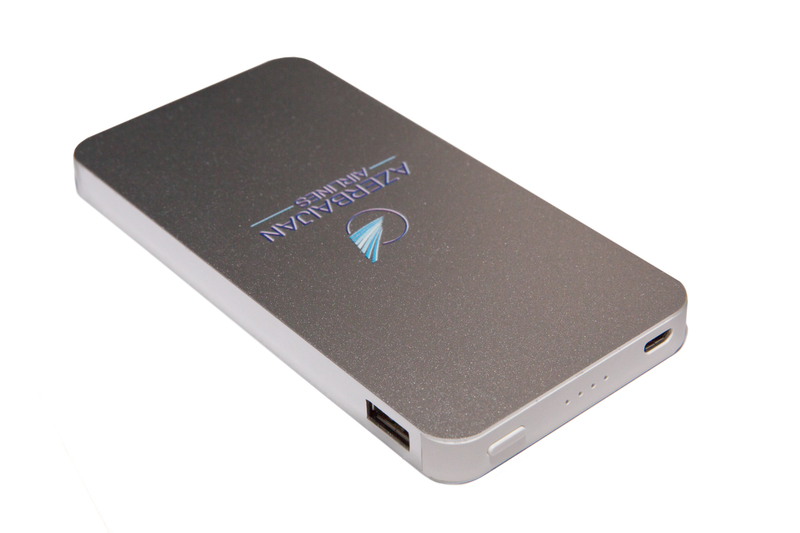 Declared capacity is 10,000 mAh. 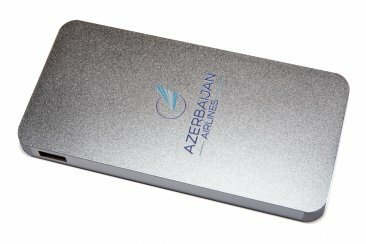 Device charge time is about 8 hours. Output current is 2 amps. Dimensions: 10.5 x 18 x 2.5 cm.